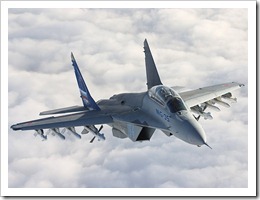 Starting from the technologies used on the MiG-29M/M2 and MiG-29K/KUB models, a new MiG-35 was developed. It is integrated in the 4++ generation of jet fighters. The first prototype was based on the MiG-29M2 model and now 10 prototypes are being tested. From a light-weight aircraft, it passed to the medium-weight class due to a 30 percent increase in the take-off weight. The new model was officially presented for the first time by the MiG Corporation in 2007 at the Aero India show. The official unveil of the MiG-35 was made by Sergey Ivanov, the Minister of Defense of the Russian Republic during his visit at the MAPO-MIG Plant. 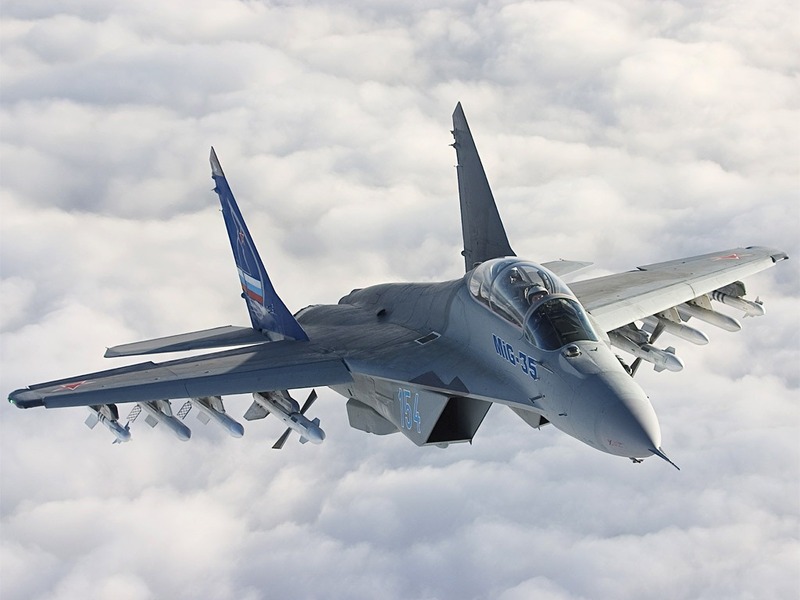 MiG-35 is the name for the single seat model, while the two-seat type is called miG-35D. The new model has new AESA radar and many improvements in the weapon systems and avionics. The aircraft is able to operate multi-role missions independent from the interception systems controlled by ground by using its unique Optical Locator System. At the end of the 1980s there was another MiG-35 referred at, but of a different design, with a single engine and serving air-to-air and air-to-ground roles. Some Indian sources claimed that Indian pilots evaluated the combat aircraft in the Soviet Union at that time and might have been an alternative model for the Indian LCA. What make the new model so special are some particular features. It is compatible with weapons applications of Russian or foreign origin. The information-sighting systems are of the fifth generation. The combat survivability is increased by the various defensive systems. Furthermore, the new design of the aircraft facilitates the accomplish of multiple types of mission. The new MiG-35 is capable of ground strikes of high precision on all weather conditions due to the new avionics. It also has increased fuel capacity and greater weapons load, reduced radar signature and high anti-corrosion protection.